I plan to post an early draft of Chapter 1 of my book shortly, but in the meantime, there is another book you should read. 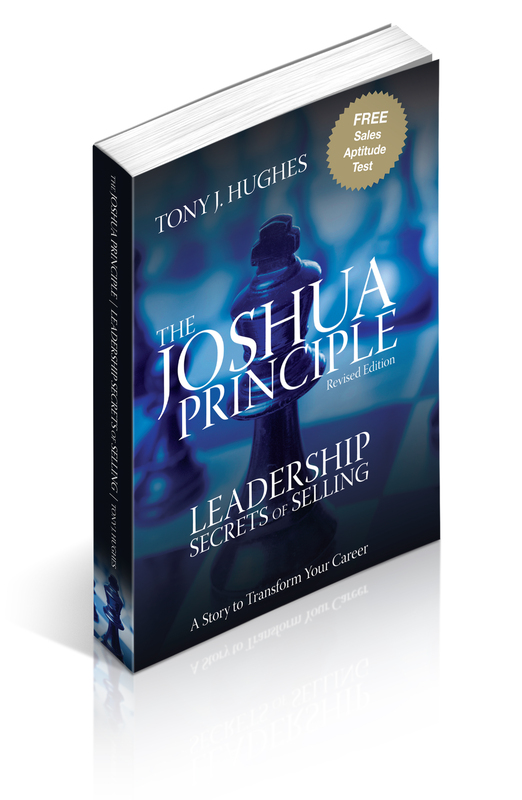 I couldn’t put it down, and I can’t recommend it highly enough: The Joshua Principle: Leadership Secrets of Selling by Tony Hughes. You can buy it on Amazon. It’s available in hardcopy and for the Kindle. It’s also available as an ebook and audio book for other formats. It’s fine to listen to it, but I would read it as well — my copy is all marked up and dog-earred, and I refer to it constantly. Tony has done such a great job of articulating the rationale for the type of selling you need to be doing when targeting large, complex enterprises with technology, solutions or services that I just refer people to passages from his book when trying to educate them. I also send people to his website, where there are lots of useful tools and additional information on “RSVP Selling,” the framework discussed in the book. Watch for upcoming posts on RSVP Selling and passages from the book. Tony’s thoughts and approach are worth sharing. This entry was posted in Uncategorized by Theresa Lina Stevens. Bookmark the permalink.